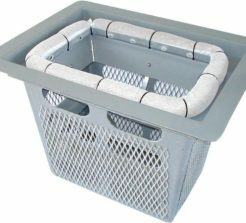 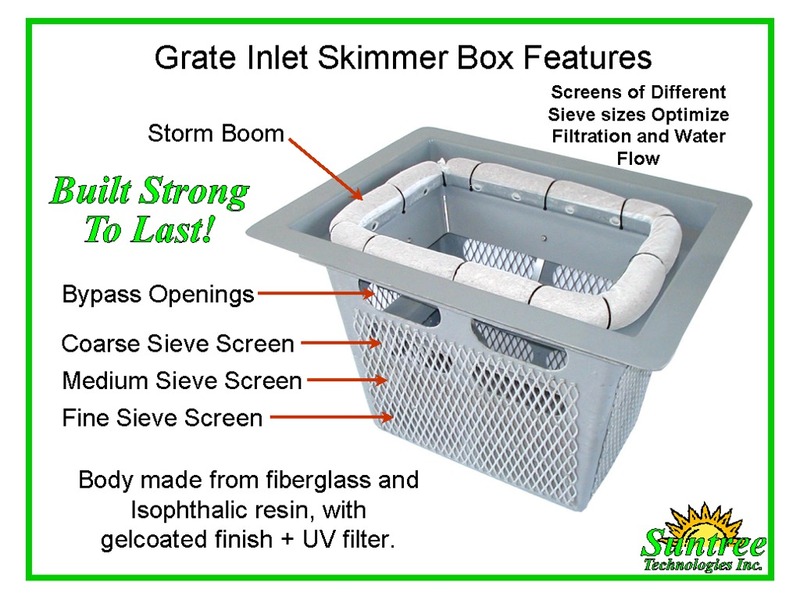 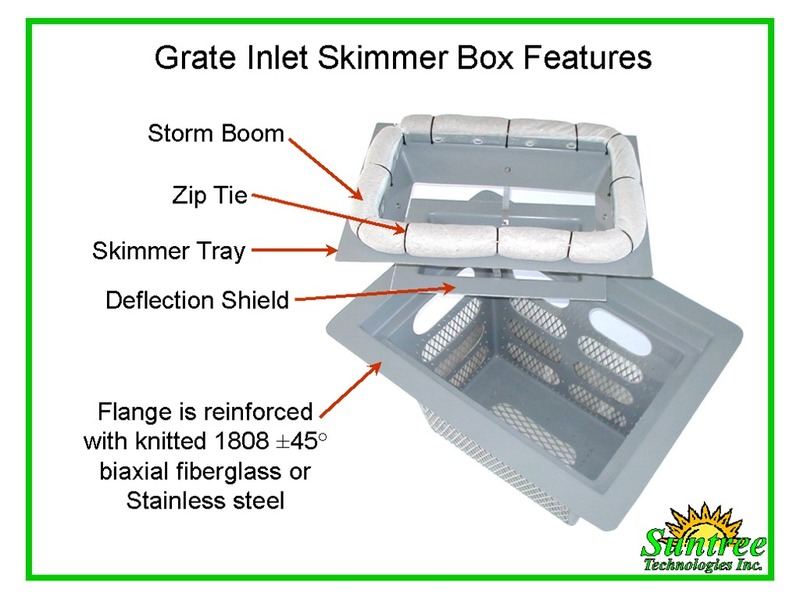 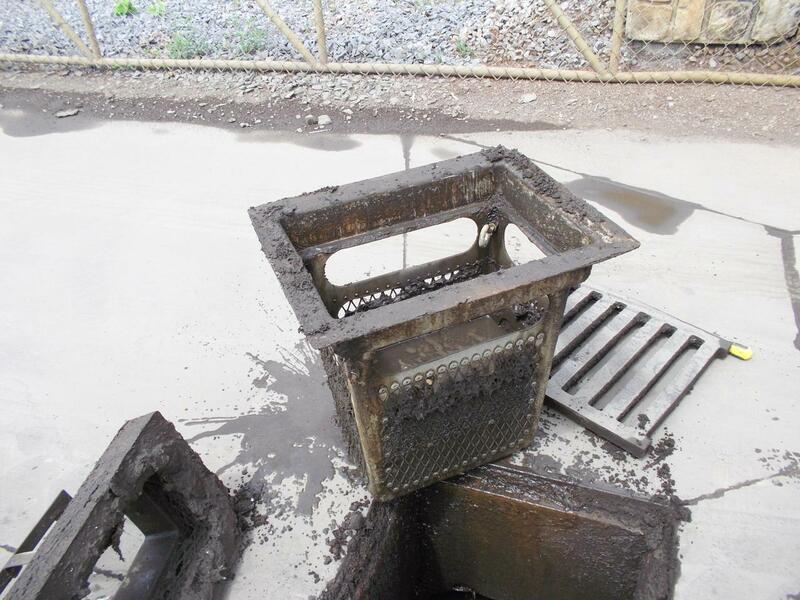 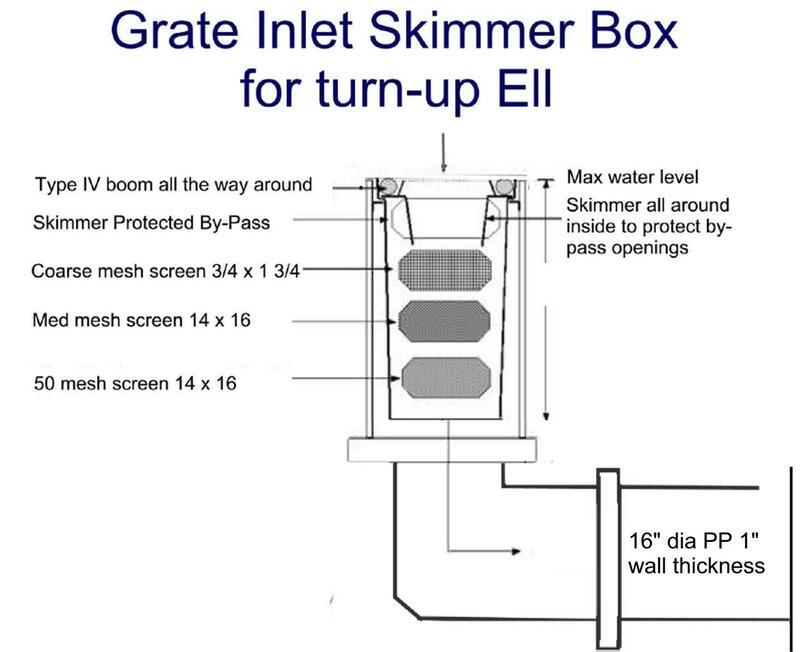 The Grate Inlet Skimmer BoxTM (GISB) is manufactured from marine grade fiberglass and stainless steel. 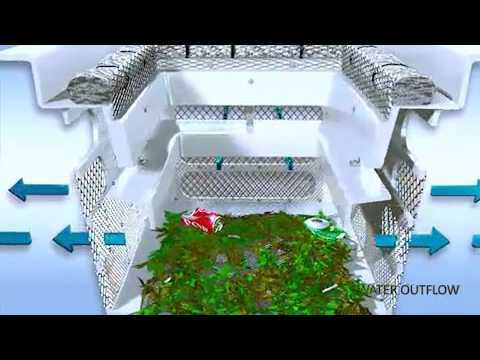 Stormwater flows over a skimmer tray and through a hydrocarbon boom. 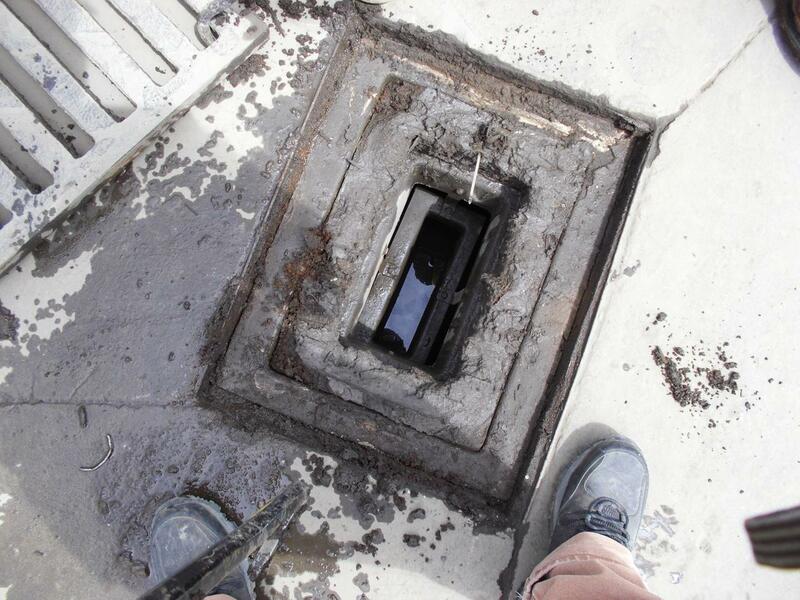 Stormwater sediment and solids are trapped in the lower section and filtered. 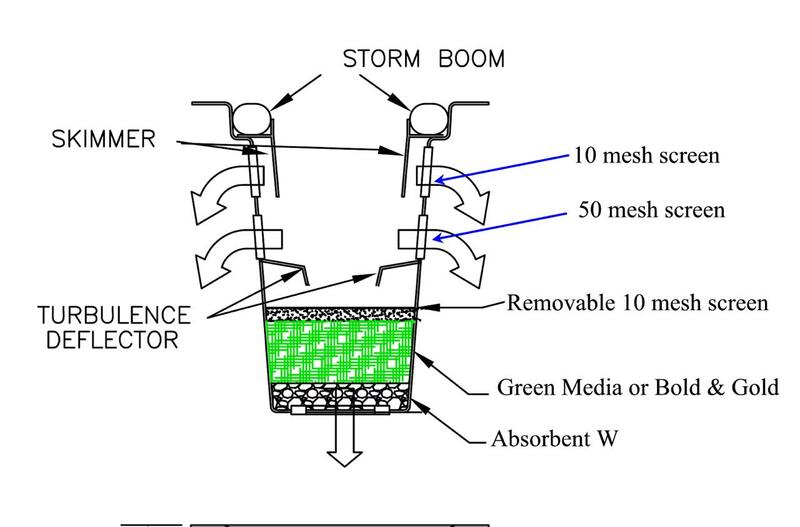 The filter drains dry after each storm.